This Red Sequin Maxi Dress with Side Slit is stunning! The sequin detailing is gorgeous and we love the bold red color. This is a perfect red formal maxi dress for any special occasion. 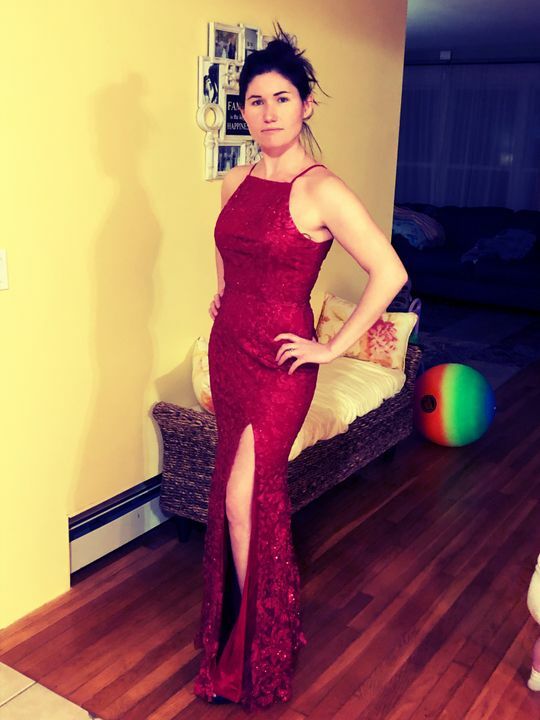 I ordered This for an evening wedding I’m going to and it arrived super quick and It fits perfectly! I’m 5’5” 128 pounds, my measurements are B36” W29” H36 and I ordered a medium. Purchase for my daughter..5'9. Dress fits perfect, and length was perfect with her heels on..No adjustment needed..